We had a great time joining in to help beat the Guiness World Record for the National Fit Made Fun Day on Saturday September 6, 2014! 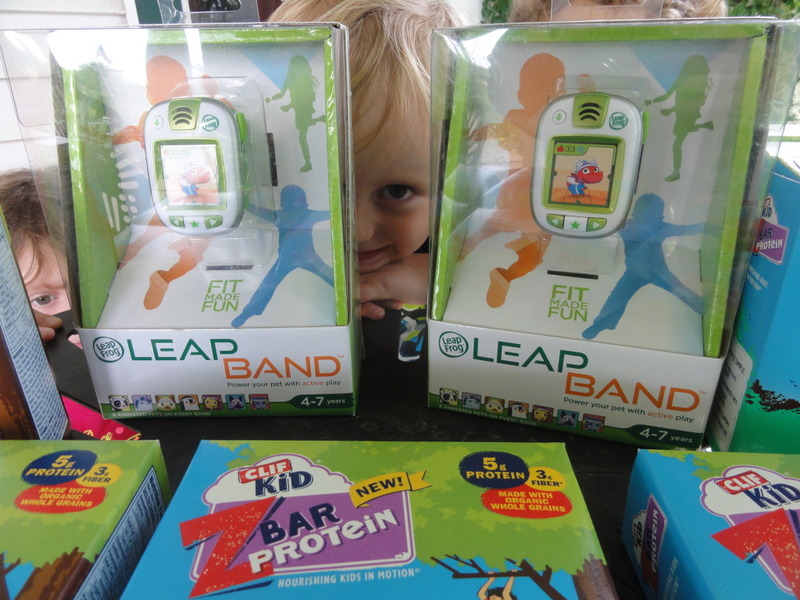 We recieved a party kit with ideas and included were 2 Leap Frog LeapBands for kids to use for activities, and three flavors of Cliff Kid Zbar Protein Bars to enjoy during the event. We had arranged to have our Fit Made Fun Party at the local park, but we got rained out of our festivities. I was worried we would miss getting to join in on this National celebration to break the world record of kids all over the USA getting active on the same day. I thought we would have to reschedule until the following day, and I kept watching the weather. Finally by late afternoon, things began to dry out some and we were able to have fun games and activities outside in the yard instead of the park. Better late (in the afternoon) than never! 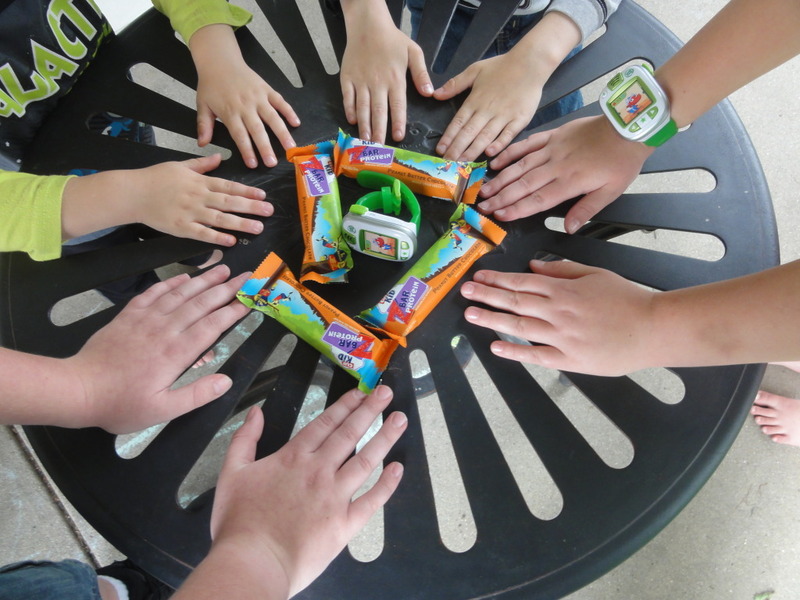 We activated the LeapBands ahead of the party. I also printed out several games from http://www.leapfrog.com/en-us/learning-path/leapband-party-planning-guide.html with more game ideas, board games, coloring pages, activity cards, and more. The Leapbands must be registered and activated online ahead of time. The creates access to a dashboard that keeps a cynced record of their activities recorded by the LeapBands. The process is automatic each time you connect the LeapBands to the computer and allows you to change the settings of when they are active, sleeping, at school, etc if desired, and also recharges the LeapBand so it is full of energy. The kids couldn’t wait to put on their LeapBands and get busy following along with the instructions for activities. 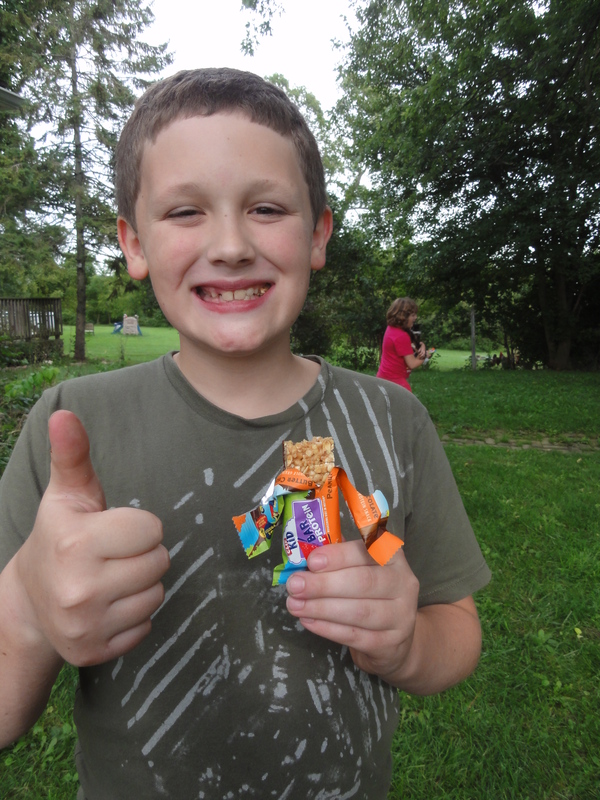 They earned Joules for each activity they completed. Later we connected them again to the computer after we were done using them for the day, the Joules they earned and information about their activities was transferred to their computer dashboard. LeapBand is a wearable activity tracker that talks to kids, keeps track of movement, and records their answers to games. It is kind of cross between a pedometer, a watch, and an activity gaming console all wrapped up in one. It encourages kids to get active with 50 preprogramed games and activities for endless hours of fun. It also has virtual pet pals. They earn points called Joules for moving and being active. They can see the points they earned right on the face of the LeapBand. 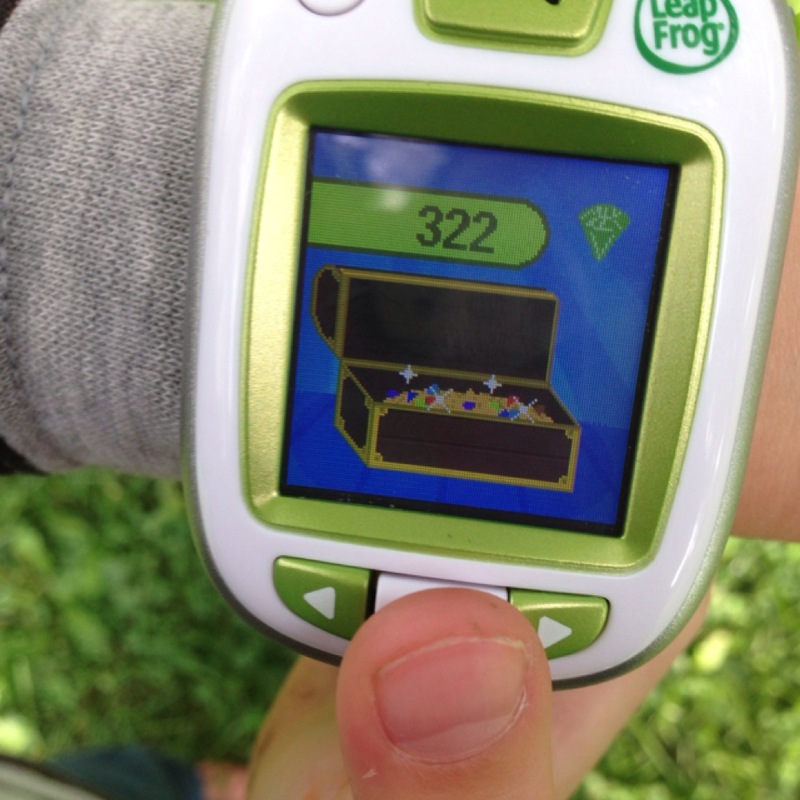 The more points they earn, they can unlock new levels in the games and also earn rewards for their virtual pet pals. We had water bottles and Clif Kid Zbar Protein bars on hand for rehydration and energy. We also made Turkey Pita sandwhiches and had fresh strawberries. 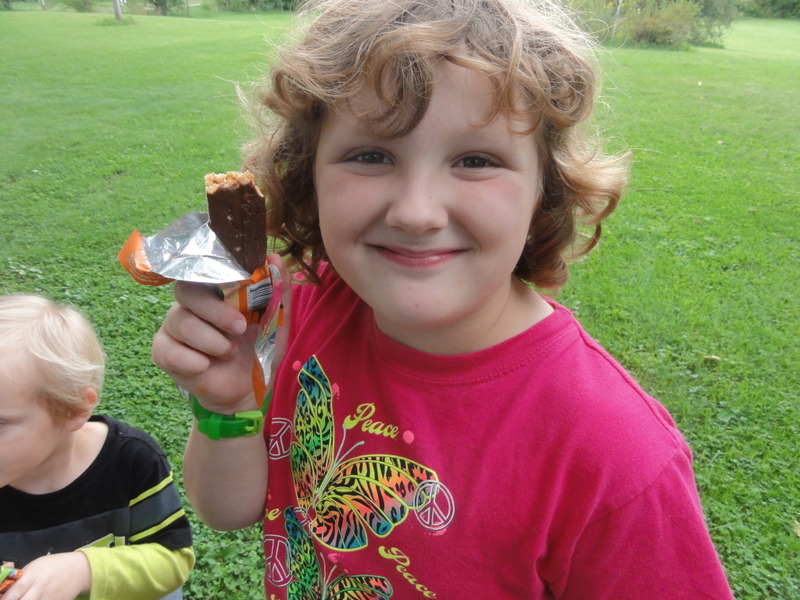 The kid’s favorite snack was the Clif Kid Zbar Protein bars. They are delicious. We tried the Chocolate Chip, Chocolate Mint, and Peanut Butter. Our absolute favorite flavor was Peanut Butter. 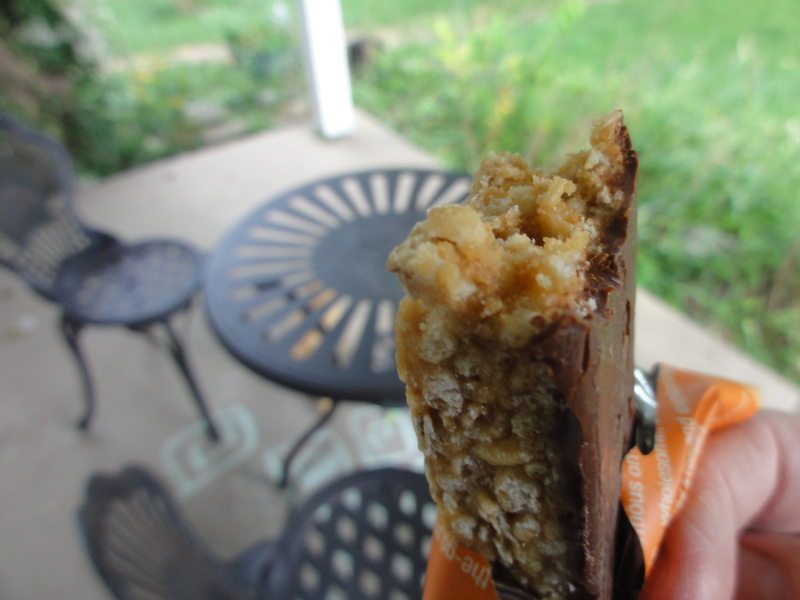 They taste like a cross between a candy bar and a granola bar. But we honestly liked all the flavors. My personal favorite was the Chocolate Mint. I was surprised how delicious and satisfying it was. Definitely passed for both kids and adults. As part of the National Fit Made Fun Party participation with kids nationwide, we spent 10 minutes doing the “Snorkel Dance”, 10 minutes rolling around in the grass making “Grass Angels”, and 10 minutes playing “Follow The Leader”. 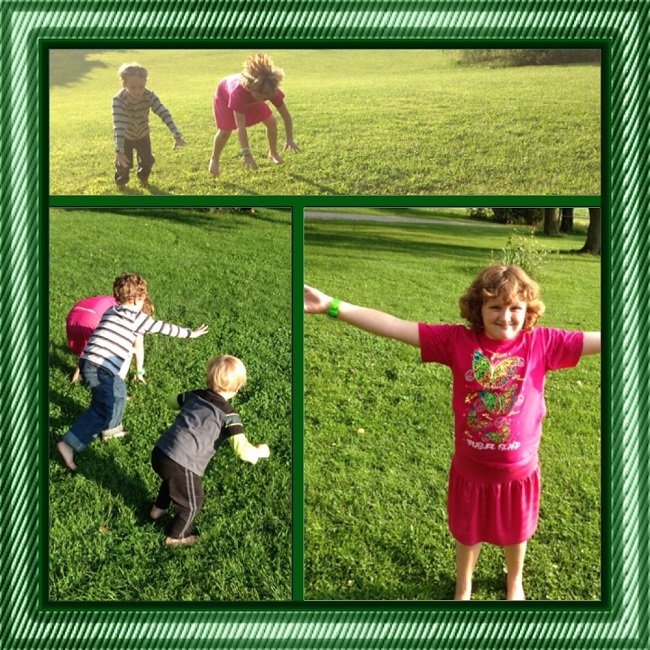 We played games like “Frogs on the Lily Pads”, “Healthy Habits Hunt”, and “Relay Races”. 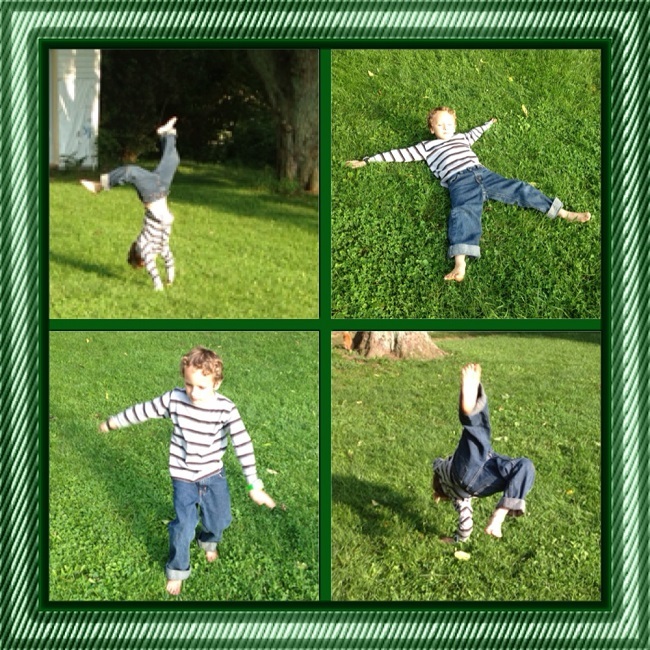 The kids had so much fun doing cartwheels, dancing, and hopping around. They made grass angels (like snow angles), did a swim dance, flew around like birds, and before I knew it, they were doing flips upside down on their hands in the grass too. 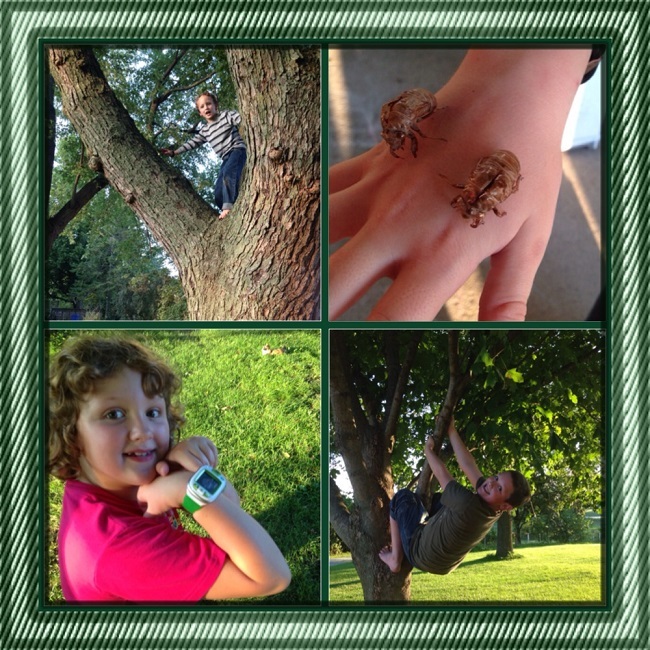 They were having so much fun, they decided to take advantage of the little bit of sunlight left in the evening to climb trees and take a nature walk too. At the end of the party, everyone received a participation certificate. We had so much fun! We are already looking forward to joining the National Fit Made Fun Day again next year and hope we can help them set the next Guiness World Records! 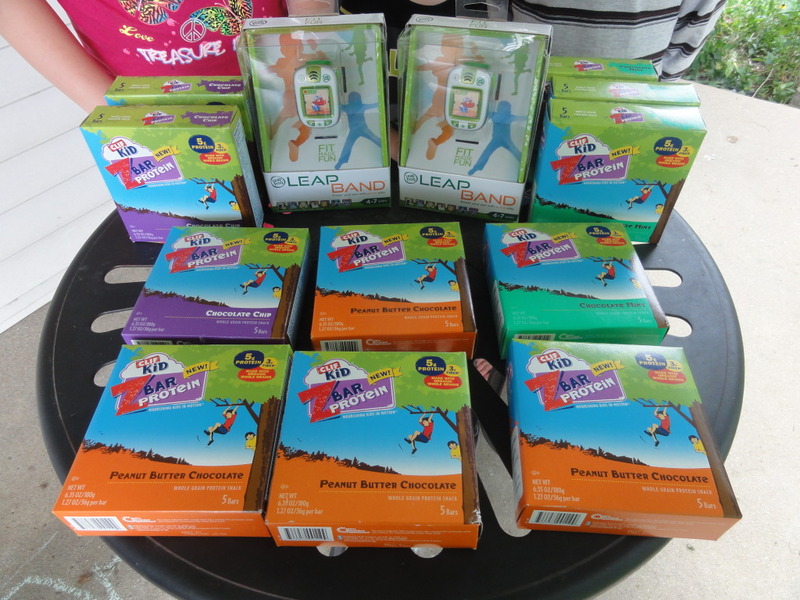 Disclaimer: We were provided a party kit with LeapBand and Clif Kid products in exchange for an honest review and for the purpose of facilitating a Fit Made Fun Day party sponsored by LeapFrog and MommyParties. All opinions expressed are my own honest opinion. 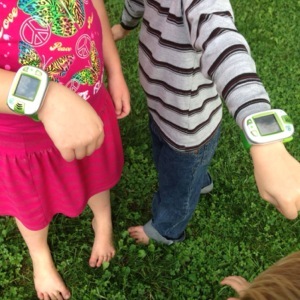 This entry was posted in Leap Frog Leap Band and tagged Activity, Clif Kid Zbar Protein, Exercise, Fit Made Fun Day, kids, Leap Band, Leap Frog, Mommy Parties, Outdoors, Park, Party, September on September 12, 2014 by Melinda Weiser. I love hosting review parties for mom’s, and telling them about great products that put FUN into their family’s life. We were recently chosen to host a playdate party review of The Happy’s™ and tell mom’s and kids all about these addorable “smart” toys. The Happy’s™ are a smart and addorable robotic pet that chases after it’s own toy treat. Each pet is soft and cuddly yet it is programed to do special tricks. It can also interact with toy treats of other pets in the collection. The Happy’s™ also have a line of interactive toys (like a toy car, skateboard, and more) availabe for each pet too. My kids love robots in all shapes and sizes, and these realistic toy pets are another fun way for them to learn, and have a great time playing. The Happy’s™ were created by Cepia, LLC, the makers of ZhuZhu Pets. The Happy’s™ are realistic motorized toy plush pets that can run, sit, pounce, spin, make lots of silly sounds, and play and with your kids. The pets interact with their own special toys and treats, and your kids will have lots of fun playing with them. Bentley – Bentley is a golden retriever and comes with the blue Happy Treat bone. His favorite trick is to chase his tail. Sport – Sport is a goldendoodle (golden retriever crossed with a poodle) and comes with the red Happy Treat bone, and loves chasing balls and does a wiggle trick. Chance – Chance is a Beagle and loves to explore and comes with an orange Happy Treat bone and will perform a jump trick. Mittens – Mittens is a kitty cat and comes with a yellow fish treat and does a “sneak up and pounce” trick. Play and Chase Ball – Bright yellow, interactive ball that rolls and wobbles on it’s own and the pets chase after it. There are toys, treats, playsets, and more available for each of The Happy’s™ and what works for one will also work for another one with additional tricks and features. So the more you collect, the more fun you will have. We were sent a playdate party review kit that included a list of themed ideas for snacks, crafts, and games. It also included four pets and their treats, one chase ball, 12 batteries (each pet takes 3 batteries and the toy ball takes 2 batteries), craft items to make pet ear headbands, and three packages of Werther’s Origional Carmel Popcorn. The kids couldn’t wait to tell family and friends all about this fun party we had planned. We set the date to coincide with a birthday party too. We had a great time setting up The Happy’s™ Party! We went with a “pet theme” for our food, decorations, and games. We served the Werther’s Origional Carmel Popcorn in a pet food dish. The kids thought that it was hysterical to eat carmel popcorn “pet” food! If we had more time and more pet food trays, we thought about having a “pet” food eating contest with the Werther’s Popcorn in them, like what is usually done with a pie eating contest. The kids thought up this challenge, and thought they could put their hands behind their back and eat like their pets from the pet trays and whoever finishes first wins the game. Maybe at a future event we can host a competition or something like that. Is anyone game for a challenge of kids verses adults? Besides The Happy’s™ toys, fun games, and treats, another super big “pet food” hit at the party were the pet water bowls. We made them with blue raspberry flavored jello. So cute! We made peanut butter cookies for doggy treats (story coming soon). We sliced veggies and served them with hummus dip for chews, goldfish crackers, dried mango “chews”, different bone shaped pretzles and cheese sticks for bones, meat sticks, and a few more treats. We also melted butterscotch chips and poured them into bone molds and had our very own dogbone candy bars, and made “puppy chow” with rice chex (recipes coming soon). Every bit of the party food was delicious and most of the items (except the jello) we had had on hand and just pulled them from the fridge or cabinets and put them on fun trays, and gave them a new “pet food” name! This party was so easy and fun to do! All of the kids had so much fun playing with The Happy’s™ toys, playing pet themed games, and eating lots of yummy treats. They had a blast learning how to opperate the different pets and teach them to do tricks. The pets follow an infrared light in the treat when the kids push a button on the treat. The play and chase ball was a lot of fun to chase around the room too. It wobbles as it rolls all by itself, and the pets chase after it. I can think of so many great uses for these toys. They are really fun to play individually and in a group. This would also be a great toy to take to our Lego and Robotics meetings and discuss the science of “how it works”. Our kids love to learn how motorized robotic toys work and what makes them so much fun. But you could take them as a prop to a meeting about caring for pets, or even host a fun race, or host playdates with them. If you need a little “happy” fun at your house, it is quite possible The Happy’s™ will put your kids in a happy mood too. This is definately a toy we would recommend to all our friends and family for birthdays, holidays, and a great bordom buster, or to shake off the winter “blues”, or anytime. The Happy’s™ are available at several major retailers near you, such as Toys R Us, Walmart, Target, and more. Be sure to look for them in the toy section of your favorite retail store. This entry was posted in Review Toys, The Happy's on April 26, 2014 by Melinda Weiser. Are your kids in love with dinosaurs? Mine sure are! At our house, Mr. T Rex (Tyrannosaurs Rex) is always on the prowl. He eats everyone in his path! No one is safe. Even if you can fly, and mind your own business up in the trees, Mr. T Rex can pull you down and make a meal of you. He loves to eat fingers too. This creature tops all the predators in the whole animal kingdom. BEWARE! Of course, the choice is up to you. You can tempt him if you want to at your own risk! It is quite possible, he may not eat you. He may eat the grass after he becomes educated about the dangers of eating meat, learns that his cholesterol is too high, and finds his true “inner self” and becomes at peace with his environment and everyone around him, that he might say “goodbye” to his meat eating ways. Not in my house, if Mr. T Rex smells flesh, fear, or smells life blood beating through your veins… you better run……you better hide…..Mr.T Rex is coming and you are going to loose! Unless you are Baby’zilla that is. We just love playing with dinosaurs! And this set of Giant Soft Dinosaurs from Discount School Supply makes the learning adventure even more fun. They come in a set of 4 and include a Pterodactyl, Triceratops, Tyrannosaurs Rex, and Apatosaurus. They retail for $69.99 and are currently on sale for $54.99 through Discount School Supply. These dinosaurs are so realistic looking. You can see and feel the details on their skin, claws, horns, teeth, eyes, nose, and tails. It is like feeling a real reptile. They are solid but soft, and they are made of soft foam so they won’t break if dropped and they don’t hurt too bad if you get accidently whacked (or eaten) by them. We are getting ready to do a Dinosaur Unit Study, and these Giant Soft Dinosaurs are going to be such a great hands on addition to our learning adventure. But we have been having lots of fun with imaginative play with them too. Check out this “Dinosaur Destruction” Marble Run the kids created one rainy day. It rained and rained all day long. My 12 year old son gathered up a bunch of track, the dinosaurs, and a few cars, trains, and other toys and made a scene of dinosaurs attacking everything as the marble rolls down the track. And during another fun day we were playing with these dinosaurs and the kids decided to set up a wrestling match between the dinosaurs. But things really got interesting when the baby crawled into the action. So we had a showdown with Giant Baby’zilla VS Giant Soft Dinosaurs. Big brother refereed. Baby’zilla (our baby) won and “smacked down” every dinosaur! And be sure to read how we used these Giant Soft Dinosaurs in our Dinosaurs In July theme we did for our 4H Legos and Robotics Academy club. I would recommend these dinosaurs for classrooms, homes, day cares, sunday schools, doctors offices, dentist offices, realtors offices, car dealerships, and anywhere you have a play area set up for kids. They can be used in groups, or individually for quiet time play. They are a great addition to any learning adventure. Discount School Supply has thousands of wonderful learning toys and supplies. They are a great resource for homeschools, classrooms, day cares, churches, offices, and more. They also offer free shipping on in-stock orders over $79. Disclaimer: I received the product mentioned above for the purpose of writing an honest review. All opinions expressed are my own and or my children’s honest opinion and experiences regarding this product. This entry was posted in Discount School Supply, Giant Soft Dinosaurs, Review Toys, Reviews on July 31, 2012 by Melinda Weiser. The Chunky Link-A-Shape learning toy is a wonderful addition to our tot-school and pre-school activities. It is a part of our daily routine for the past few weeks now. My kids just love building with it. It is easy to add it to our workboxes for fun learning exploration, counting, sorting, and creative play. This learning toy is from Discount School Supply. They are a leader in supplying teachers, homeschools, sunday schools, preschools, daycares, and more with wonderful learning toys, classroom supplies, curriculum, classroom furniture and more. I have been using their online store for the past six years or so and I love all the amazing products they have to offer. Colorful foam shapes have a printed surface on one side and a smooth surface on the other side, and provide both a visual and tactile experience. Interesting and unique shapes for the very young child. The foam pieces are soft and flexible. Helps develop eye-hand coordination and fine and gross motor skills. Great for learning sizes, shapes, and colors. Ages 2 years and up. Kids of various ages will have fun playing with these. 4 colors and 4 patterns to encourage play. Easy to stack or link together. Use as an early learning math manipulatives set for counting, sorting, and making patterns. Fits conveniently into workboxes, baskets, buckets, activity bags, or storage bins. Ideal for a quiet time activity. Great for constructive or architectural play. Here my son is sorting and matching shapes and colors. He is also practicing counting sets of twos. 1 + 1 = 2. Information for mom, there are 4 different shapes in 4 different colors, and 2 of each shape in each color. 4 x 4 x 2 = 32 exciting pieces to play with. Here my 3 and 5 year old’s are sharing pieces and making sculptures. My daughter wanted all the pink pieces, and my son was not going to give up any of his pieces he built his tower with, not even the pink ones. Here is a tree sculpture made with two colors, brown for the tree trunk and tree roots, and yellow-green for the branches and leaves. By far, his favorite game to play with them at this time is to line them on their ends like dominos and starting at one end, knock one over and they fall in slow motion and each one knocks the next one down and so on. He gets such a kick out of watching them fall. He will line them up over and over and do it again and again. Big brothers wanted to do the domino effect too. It was hard for little brother and sister to share this fun toy with the others, but they did. All six of my children have spent time playing with the Chunky Link-A-Shape learning toy and enjoy it. I savor the quiet time while they are keeping busy! I know the product says it is for ages two and up. But the baby expressed interest in holding the puzzle shapes too. They are sturdy but soft and he enjoyed the texture and feel of them. He was very excited to get to play with them too. We will be taking this toy with us in our quiet activity bag when we leave the house. Being made out of foam, it doesn’t make a sound, yet it is so interesting and fun to play with. This is a keeper! I made a video of the kids playing with the Chunky Link-A-Shape one afternoon. My three year old son had fallen on the driveway and bumped his forehead. I didn’t want him to go outside and run for a couple of days while his “bump” was healing. This toy came to the rescue! 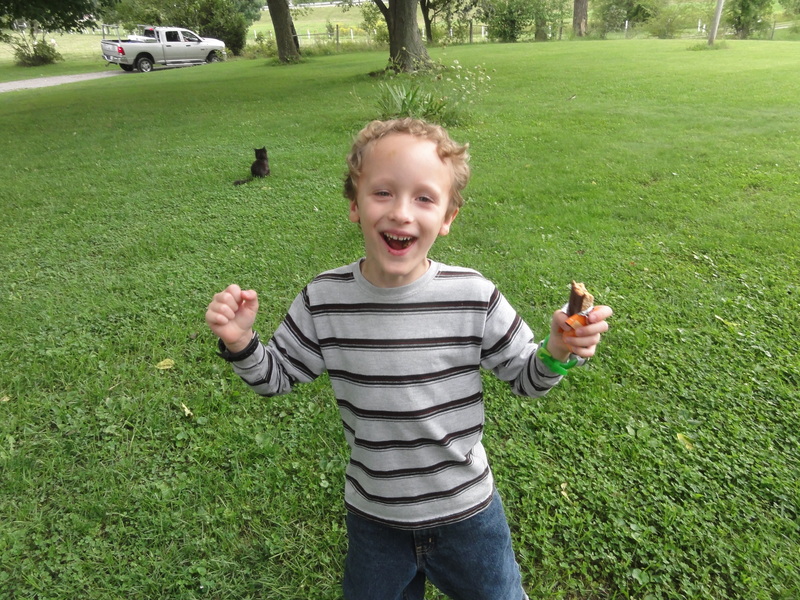 It provided a safe, but fun and creative activity for him to build with and stay entertained. Thank you Chunky Link-A-Shape for taking his mind off of not getting to go outside for a few days. I would definitely recommend having this toy on hand for those times in life when your little one has to stay indoors due to an injury or illness. Very well made with quality materials. Very easy to use in various settings. Easy to adapt to various skill levels. It is nuetral and can be incorporated into faith based activities if desired. The Chunky Link-A-Shape is on sale for $18.95 at Discount School Supply. This would make a great gift, a useful learning toy for your school room, and a fun addition to your playroom too. I would also recommend this product for Dentist offices, Dr. offices, libraries, realtor offices, grandma and grandpa’s house, and anywhere quiet play is needed to keep kids quiet, but entertained. Discount School Supply offers free delivery on in-stock orders that total $79 or more. That’s a great deal. Click on the link below to find lots more great deals at Discount School Supply! Disclaimer: I received the product mentioned above in exchange for my honest opinion. All views expressed are the honest opinions of myself and my family. This entry was posted in Chunky Link-A-Shape, Discount School Supply, Review Toys on June 18, 2012 by Melinda Weiser. Have you heard of the Scruble Cube? It is a handheld spelling and puzzle game that is very challenging! My oldest son is eleven, and though he is great with puzzles, he is not a strong speller. We are looking forward to this game helping him improve his spelling skills. It is a great homeschool product to encourage spelling, math, logic, and language skills. Scruble Cube has also won several awards. I’ll be honest, upon first glance, this product can be a bit intimidating. It is a cube and is covered in 96 letters and movable squares. Because of how we are taught to read words, organize letters, and organize information, the letters make no sense at first and it takes your brain some getting use to how it looks with what seems to be random letters. One helpful way to think of this game is that it has some of the features of the game of Scrabble, but a big difference is the Scruble Cube is holding your tiles and your game board all in the palm of your hand. The goal is to move your letters around the cube to spell a word. 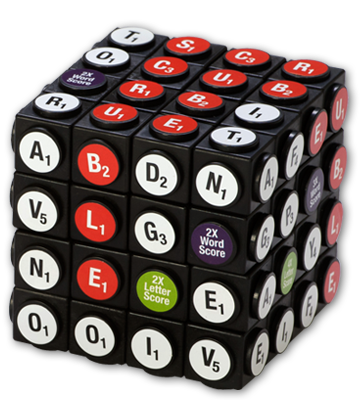 Each of the letters are assigned points, and each time a word covers more than one face of the cube, you earn additional bonus points. The game also comes with a scoring tablet and an hour glass timer. You can time yourself or compete against time, or teams, and improve your skills. Before attempting anything, we thrurough reviewed all the product instructions and the getting started guide. First practiced spelling a simple four letter word (milk) on two faces, learning how to move, or arrange, the tiles. Scruble states that if you can spell a three letter word, you can play this game, however it is recommended for ages 8 and older. This game is fun and addicting. We plan to get dad in on the action soon too. He loves logic and puzzles as much as our son does, and these two can challenge each other in some fun games with the Scruble Cube. Scruble Cube is available at Toys R Us, Meijer, Barnes and Noble and Scruble Cube. It retails for $ 24.95 This would make a great gift for Christmas, birthdays, and teacher/coach appreciation, as well as a great addition to your classroom or homeschool. I strive to write honest product reviews that help enrich homeschooling and family life. I also serve on the 2011-2012 TOS Crew for The Old Schoolhouse Magazine. I was sent this product for free from Scruble Cube, in exchange for offering an honest review. If you would like to read other TOS Crew member reviews of the Scruble Cube and many more great educational products, please click on the photo link here. This entry was posted in Review Toys, Reviews on October 10, 2011 by Melinda Weiser. My oldest son turned 11 this past week. It seems like just yesterday that he was a newborn baby in my arms. My whole life has centered around him and his siblings every since the day I first laid eyes on this baby boy eleven years ago. He loves everything about robots and space. For his birthday, we bought him a telescope and the Lego Master Builder Academy (MBA) kits. One of the kits discusses the process of building robots, and one of the kits in the series builds space ships. The Lego MBA is being shipped and will be here in a few days. Lego only started shipping this new product in June, and though we pre-ordered it before his birthday, we knew it would not arrive in time. He also was going to go out of town to Indiana to visit a cousin graduating high school. So we plan to have a birthday party for him next week, and enjoy his be-lated gifts. We are also planning to take him to a science museum to learn more about robots in space next weekend. Another exciting development is starting a lego club with several local homeschool boys and girls who all plan to go through the MBA kits too. My son is excited about this new adventure, and the fun will last for the entire upcoming year as we study these subjects with the club. You can read stories about the Lego and Robotics Academy 4H Club posted on this website. We will also do a space unit study and a robot unit study to enhance what he is learning. A while back, I had gotten him a STRUXX Robotics building kit. It builds 4 different robotic models. He looked it over one afternoon, chose the model he wanted to build, and started to build it. But about 30 minutes into the process of sorting his pieces and becoming familiar with the building manual, he quit. That was just not like him at all. He is normally very patient and loves to learn new and complicated things. But on this day, he was frustrated and set it aside for several months. I guess it was more challenge than he was up to at the time. He first thought one of the key parts was missing, and after searching for it for a half-hour or so, he lost heart and he just gave up. This week, for his birthday, he pulled it out again and built the entire 625+ piece robot in just under 6 hours. Its main components of the structure are the long rods and small ball and socket joints that make up the whole body. The actual motor comes pre-assembled, so it is just a matter of attaching it. There is a pulley system to be attached also, which the motor moves to operate the movement of the head. There is also a control center to be attached on the head which sends a remote signal to the motor to turn the head and controls a pre-recorded growl of a dinosaur and other sound effects, and controls the eyes lighting up. Once he broke it down into manageable sections (head, tail, legs and feet, hands, body), he made quick progress of the building kit. This is a wonderful product for following a sequence of steps to get a desired outcome. It was also great for eye hand coordination, matching and recognition of pieces, logic, and reading. I love providing him with hands on opportunities like this. Kits like this are great for making learning fun. He had to follow the blue prints in the manual exactly to build each component. As he completed one set of steps, he would set that section aside and begin the next set of steps. His confidence grew with each section he completed. He set his own goal with this, and wanted to complete it before Dad got home from work. I never imagined he would do this project all in one day. After he built the different body parts, he joined them together. He was thrilled when it was time to put the head on this monster. But this part took more strength and was more awkward than he had planned. As you hold it up, it has to snap into the ball and socket joints exactly. The head was slightly complicated to attache, and he felt some pressure to get it right, as it is what the robotics operate and must be correctly matched up. Next came the process of hooking up the robotic components to the dinosaur structure. You can see how serious he was in learning how this mechanism worked and hooking it up correctly to the structure and to the pulley system that operates the movements. “Be afraid, be very afraid.” This is a monster! It can growl, turn its head, chomp its teeth, and its eyes light up to be very scary. Thankfully, Daddy got home just in time to save us all from being eaten by this ferocious monster T-Rex. Dad was very proud of our son’s accomplishment too. Our boy is really growing up. Happy 11th birthday little man. You did a great job building this robotic dinosaur and I can’t wait to see what you will build next. You are a great helper, you are smart, and handsome too. Most importantly, you love Jesus. Daddy and I are very proud of the wonderful young man you are. We love you. Keep in touch, subscribe by email, google friend connect, or face book networked blogs and watch for the latest updates in our upcoming Robot Unit Study and all of our homeschooling adventures. This entry was posted in Lego, Lego Birthday Stuff, Review Toys, Robot Unit Study, Robots, Science, STRUXX, Unit Studies and Lapbooks on June 7, 2011 by Melinda Weiser.